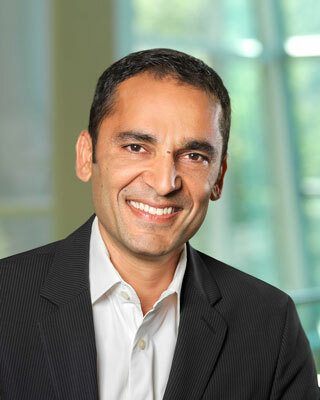 Merck has announced that Udit Batra, current CEO and President of Merck Millipore, has been appointed to lead the combined life science business of Merck Millipore and Sigma-Aldrich once the acquisition of Sigma-Aldrich has been successfully completed. The planned $ 17 billion transaction remains subject to customary closing conditions and regulatory approvals, which the company expects to have completed in mid-2015. Until then, Merck Millipore and Sigma-Aldrich will continue to operate as separate companies with Udit Batra and Rakesh Sachdev, President and CEO of Sigma-Aldrich, running both organizations independently. Rakesh Sachdev will serve in an advisory capacity, as needed, to ensure a smooth transition. Merck, in September 2014, announced the planned acquisition of U.S. life science company Sigma-Aldrich as part of its “Fit for 2018” transformation and growth strategy aimed at building three strong platforms for sustainable, profitable growth. If approved, the acquisition will be the largest in Merck’s almost 350-year history and marks an inflection point for both companies as it will deliver significant customer benefits, including a broader, complementary range of products and capabilities, greater investment in breakthrough innovations, enhanced customer service and a leading e-commerce and distribution platform in the $130 billion global life science industry. Udit Batra joined Merck in 2011 to head the Group’s Consumer Health business. Prior to that, Udit Batra worked at Novartis Vaccines and Diagnostics, where he was head of Global Public Health and Market Access. He served in a range of executive management positions at Novartis, including global Head of Corporate Strategy and Country President for the Pharma Business in Australia. For more information about Merck, please visit www.merckgroup.com.